These are the Lymplex ingredients that compromise each Lymplex suppository: Ginger, Echinacea Augustiflolia, Echinacea Purpura, Astragalus, Cleavers, Calandula, Red Root, Lobelia, Mullein, Burdock Other Ingredients: Silicon Dioxide. 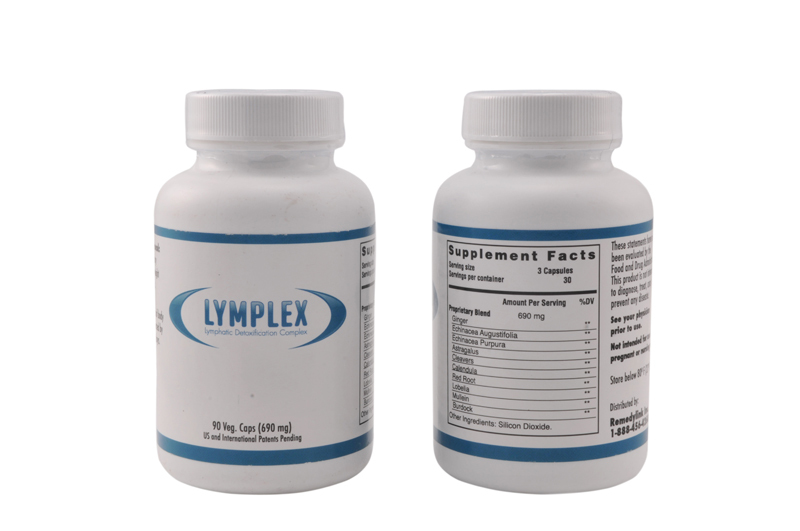 Lymplex contains 10 herbs specifically chosen for their lymphatic cleansing and for their rejuvenating properties. They include Echinacea, Ginger, Astragalus, Cleavers, Calendula,Red Root, Lobelia, Mullein and Burdock. You can take Lymplex anytime you are feeling sluggish, have an infection or if are doing a general cleanse. When you take Lymplex you may notice physical sensations in the lymph nodes around your body. These are signs that the sluggish nodes are getting a good cleanse. It is also possible for a person to feel tired or a “little under the weather” the first time they take Lymplex. This is natural and is to be expected as years of accumulated debris is now being flushed out of the body.